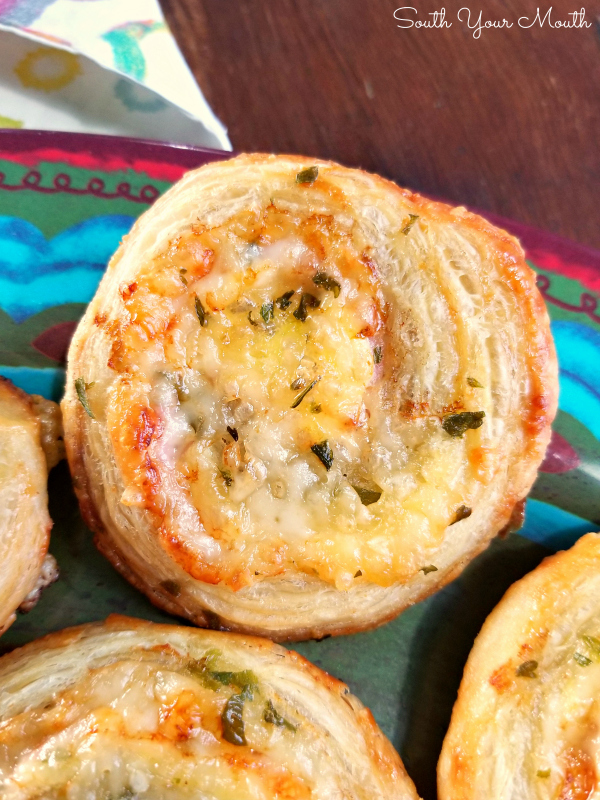 A super easy appetizer recipe using puff pastry, ham and cheese that's perfect for entertaining. What do you when a hurricane is barreling toward you, the governor has issued a state-of-emergency and imminent doom is headed your way?? Go buy 487 candles (and your house now smells like Yankee Candle and Bath & Body Works had a baby because you shouldn’t let your 13-yr old be in charge of picking out the hurricane candles). Stock-pile enough bottled water to bathe a baby elephant. Run an extension cord from your SUV to your coffee pot (because let’s face it, no coffee is my A-#1 main cause for concern). Fill every cooler you own with ice. Then you get bored and cook party appetizers! Of course. We were very lucky with Hurricane Florence and I’m praying for all those folks who weren’t so fortunate. 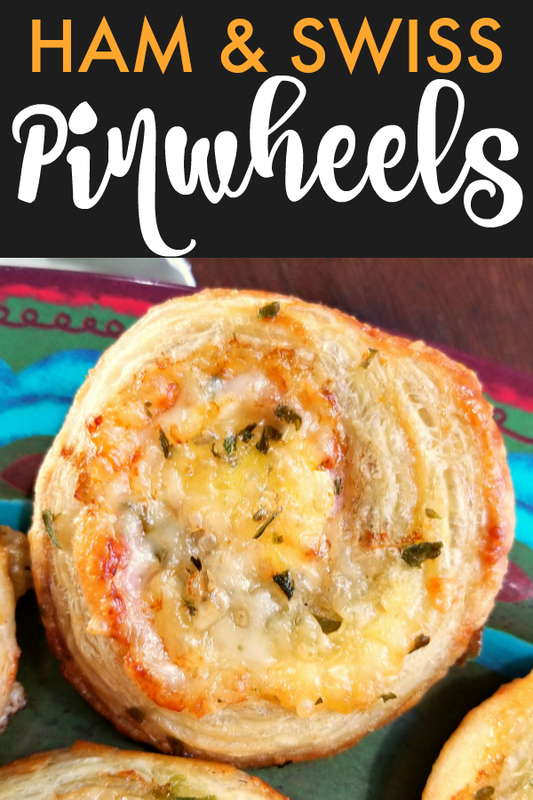 Thankfully we never lost power and didn’t have any damage so that left me with a whole lot of time on my hands last weekend and nothing much to do so I decided to make one of my favorite appetizers for y’all! You can change this up six ways from Sunday to suit your fancy. You can use different types of mustard (dijon, yellow, spicy brown, honey, whole grain, etc. ), cheeses (jack, muenster, gouda, etc.) and deli meat (pastrami, salami, pepperoni, corned beef, etc). I prefer this particular combination but make it your own! Don’t let the mustard scare you off! I’m not a big mustard eater but the mustard totally cuts the richness of the puff pastry and goes SO WELL with the ham and swiss. Trust me! These will not taste like a mustard sandwich and you will not be thinking about Billy Bob Thornton and his Sling Blade mustard biscuits. Line a baking sheet with parchment paper or spray liberally with cooking spray then preheat oven to 400 degrees. Beat eggs in a small bowl then season with salt; set aside. Thaw pastries per package instructions. Place one pastry on a sheet of parchment paper or on a lightly floured surface then roll out slightly (just enough to widen the pastry about 1/4-in on all sides). Spread half of the mustard over pastry leaving a 1-inch strip of pastry on one edge free (leave this strip clear of any ingredients – this will make our seam when we roll the pastry). 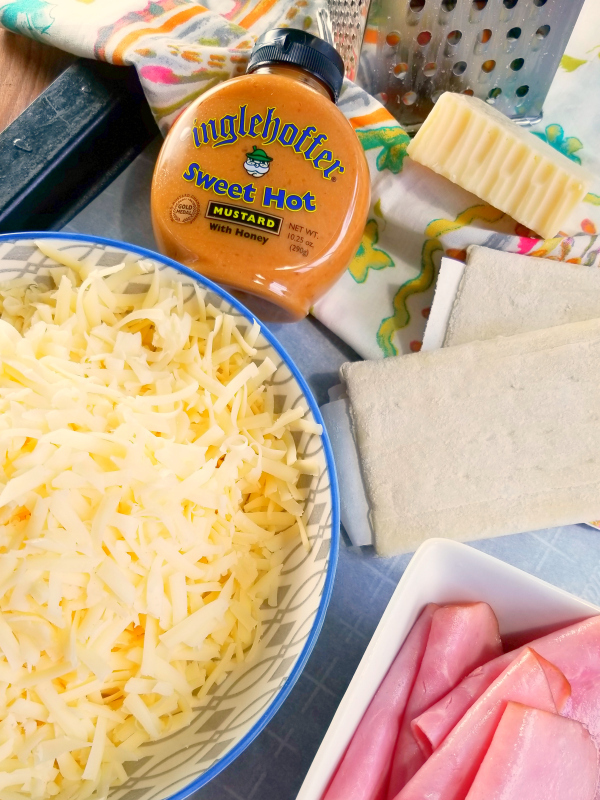 Arrange half of ham over mustard then top ham with half of the shredded cheese. Arrange the pastry such that the side with the plain strip is farthest away from you then brush the strip with egg. Starting with the side closest to you, roll the pastry tightly, smoothing the seam into the roll to close. Using a sharp knife, cut the roll into 16 slices then place on prepared pan 1-inch apart. 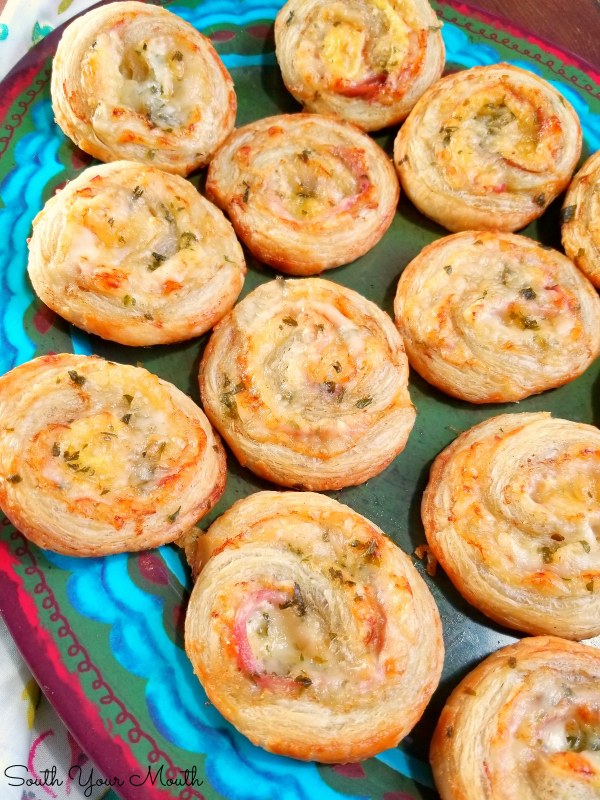 Brush pinwheels with egg then sprinkle with parsley if desired. Bake at 400 degrees for 16-18 minutes or until cheese is bubbly and pastry is starting to brown (be careful not to overcook because the bottoms brown much quicker than the tops). Remove from pan the repeat steps with the remaining ingredients. I just wanted to let you know that I am so grateful you and your family are doing well after the hurricane and I continue to pray for those who have been devastated by its wrath. I live in South Dakota where hurricane's are never an issue and honestly it is quite difficult to comprehend its magnitude. 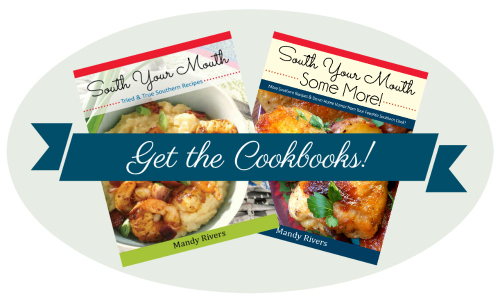 I really enjoy reading your blog and trying your recipes, thanks for sharing them and your stories! 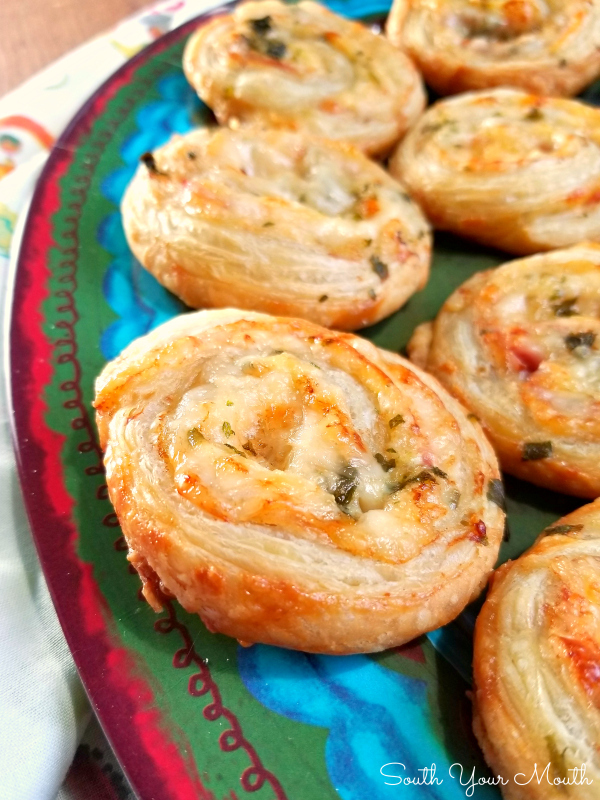 Thank you so much for sharing this recipe! I love the addition of the dijon too! Can't wait to make it!